Airwheel Intelligent Self-balancing Scooter Gained a Great Honour. Abstract: Success is not in the least a windfall. Three years have witnessed great efforts by Airwheel and its hard-won fame and honour. Success is not in the least a windfall. Three years have witnessed great efforts by Airwheel and its hard-won fame and honour. 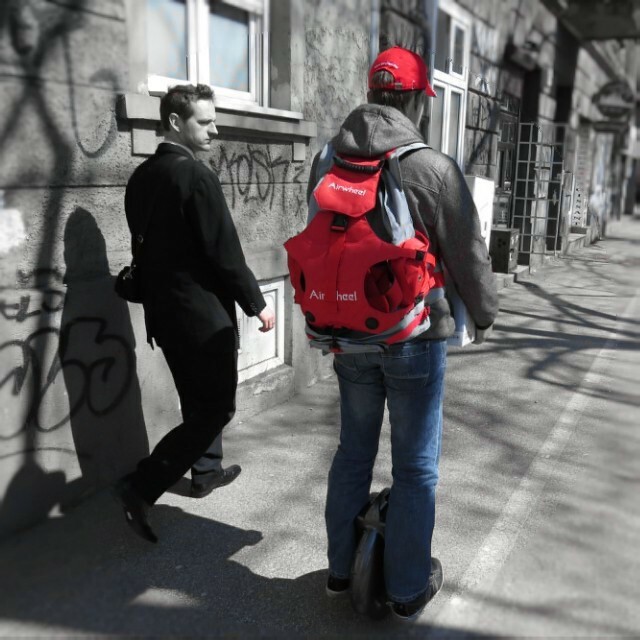 Airwheel presents itself as a worldwide famous scooter-make, as well as at countrywide. Persistently holding principles of innovative, eco-friendly and user-friendly, Airwheel electric scooter has successively launched three series of electric unicycle for adults, and manages to be the leader of current sector of the self-balancing scooter. These series cover the single-wheeled X-series, the twin-wheeled Q-series and the intelligent self-balancing S-series. The biggest characteristic of single-wheeled X-series is its flexibility. The twin-wheeled Q-series not only inherits the classic elements from X-series, but also brings out a brand new two-wheeled structure, ensuring its balance and be more user-friendly. The last one, S-series, climbs the peak of Airwheel in terms of design and technology. Not surprisingly, it is the embodiment of the ultimate model in the history of scooter. 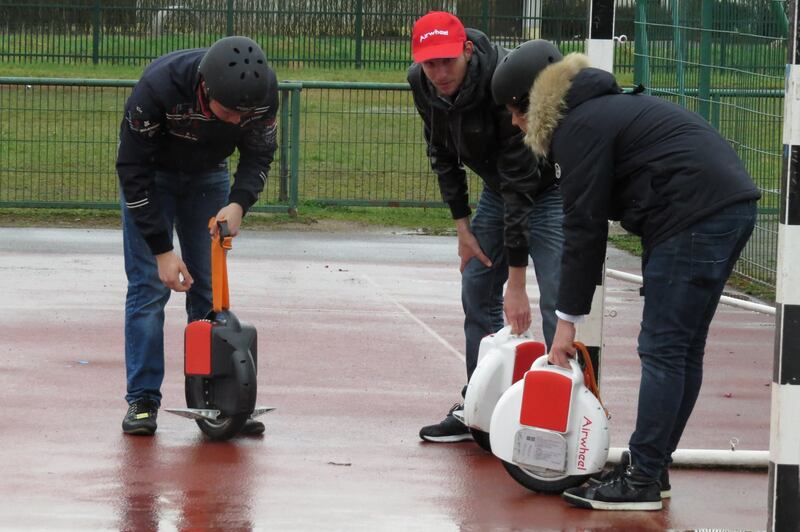 Several years ago, Airwheel took the first try on electric unicycle X3. Subsequent to that first praxis of notion, X-series, e.g. X5 and X8, followed. As time goes by, models of X-series still attracted many scooter fans. A good many tyros shrank from models of X-series for the reason of hardship of use caused by the agility, whereas these veteran riders swoon over it just on that account. Those who are skilled at riding X-series like showing their amazing riding skill of X-series. They always showcase their awesome tricks, e.g. turning circles and sitting on it while rolling. In another word, the single-wheeled structure better set off their fancy tricks. To sum up, X-series is suited to the adepts and Q-series is more suitable for the beginner. In view of the hardship from X-series single-wheeled structure, Airwheel next series, Q series translated into the twin-wheeled scooter. Q-series inherits the exterior design from X-series. However, Airwheel gave a ground-breaking tweak to the wheel structure. Then, the single-wheeled structure turned into the twin-wheeled one. The twin-wheeled structure contributes to keeping balance and seems more user-friendly. Hence, Q-series becomes the most popular in typos. The latest model, intelligent self-balance unicycle S3, is designed to the utmost. In the trade fairs, the outstanding appearance of streamlined exterior always makes it become the superstar. In the meantime, the nature of environmental protection would lead intelligent self-balancing scooter to broader market. Next：Three Principles of Design Notion of Airwheel Electric Self-balancing Scooter.